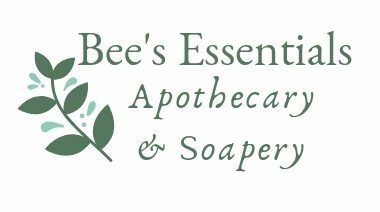 Bee’s Essentials Apothecary & Soapery is entered in the 2019 FedEx Small Business Grant Contest!! Please take a minute to click on this link and vote for us!! We greatly appreciate your love and support! Spread the word and help us win! Bee’s Essentials Apothecary & Soapery carries a unique line of specialty, handcrafted, small batch, all-natural products. We offer an array of custom blended essential oil synergy rollerball blends, a variety of healing herbal salves and muscle balms, herbal tinctures, artisan goat milk soaps & lotions, artisan vegan soaps, whipped body butters, and creamy sugar & salt scrubs. All our products are crafted with specially selected organic oils, nourishing unrefined butters, healing organic herbs & spices, therapeutic essential oils and earthy clays. Additionally, as a certified aromatherapist and herbalist, I offer wellness consultations and create custom wellness plans utilizing essential oils and herbs to help my clients reach their personal wellness goals. Bee’s Essentials also offers a variety of seasonal items such as our moisturizing Flip Flops Heel Balm, essential oil Bug Be Gone Spray, nourishing After Sun Soother and creamy whipped body butters! Our handcrafted artisan goat’s milk soaps are lovingly made with local fresh goat’s milk from Prodigal Farms right up the road in Durham County, North Carolina. All Bee’s Essential’s products are handcrafted in small batches with the finest, purest organic butters, organic oils, organic essential oils, organic herbs, organic waxes, organic spices and clays. Our products are paraben-free, phthalate-free and animal cruelty free. We carefully and thoughtfully package each item to preserve the freshness and purity of the ingredients, while taking the environment into consideration. Learn more about our fine products under the “Bee’s Essentials Products tab”! Bee’s Essentials is proud to be a member of the Greener Life Club! We are dedicated to producing products and services that promote a Greener Life ~ using natural, organic, unrefined and chemical free materials to craft our products! •We purchase our materials from Essential Depot and other manufacturers who strive to provide customers with reliable information about the health, social, animal welfare and environmental attributes of the materials we purchase to handcraft our creations. •And we implement good and green manufacturing and/or re-packaging practices in the production and/or packaging of the products we produce.